I’ve got a deal that is so good you need to all get in the car and go to CVS! 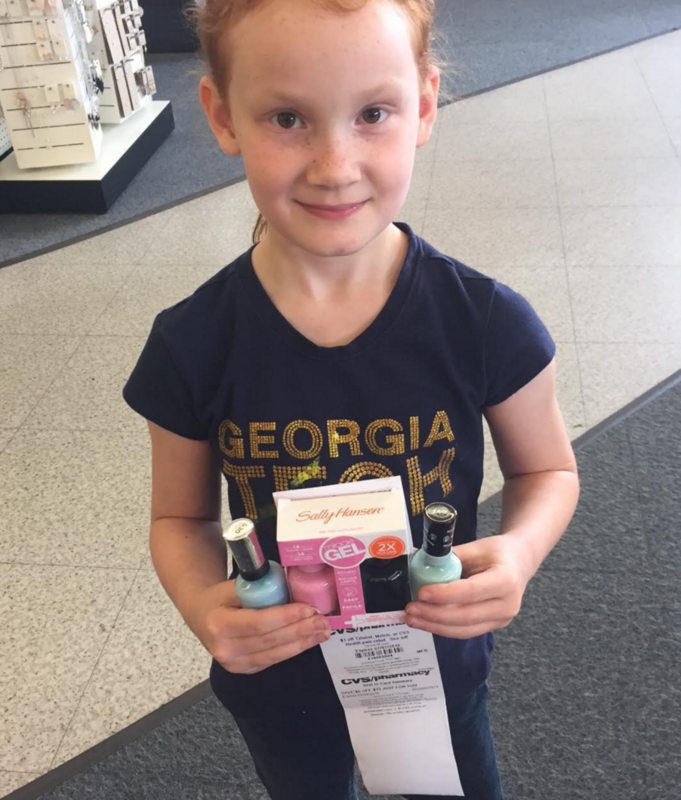 You will make up to $9 profit to buy over $30 in nail polish right now. Seriously, just stop reading, print the coupons and go. This week you will get a $5 ExtraCare Buck when you buy $10 in Sally Hansen products. You can get the deal up to 3 times. That means you buy $30 worth of products and you get $15 back! We also have a number of Sally Hansen coupons that have come out in the last few days. Pair all these in with the already 50% off deal and you are making money to paint your nails! -$1 off Sally Hansen Bonus when you submit (2) or more rebates, Ibotta App mobile coupon Makes it all FREE plus $2 profit! 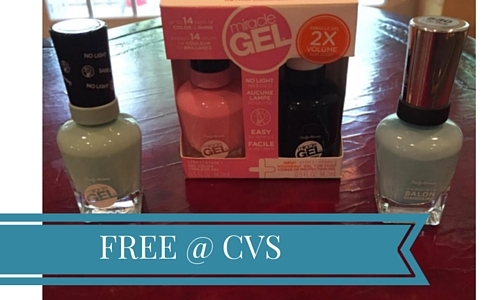 Before you go check your emails and make sure to stop by the CVS coupon center. I got a $5 off $15 purchase CVS coupon in my email Thursday and the CVS app/Coupon Center had a $3 off any $20 cosmetics purchase coupon. You can use both together! After store coupons plus all the other offers we made $9.73! !